This week I have curated another set of vibrant online discussions in the home care field. This comes as no surprise as we all know that we are in a thriving industry made up of smart, dedicated, and passionate individuals eager to share their ideas and to grow their business. Carol Marak, (Twitter handle: @Carebuzz) is a family caregiver & advocate for work/life balance when caring for elderly loved ones. She recently shared this article from PHI. The concise and thoughtful piece outlines: "...essential elements of high-quality care, services, and support for people who receive long-term care–whether in their own homes or in a nursing home, assisted living community, or other long-term care settings." It is also yet another reminder that we are in the People Business. What do you think of the list? Is there anything you add or subtract? Do you have any examples that you'd like to share that illustrates one of the nine Elements listed? Home Care Executives: Are you going to the What's Next Boomer Business Summit? "What's Next Boomer Business Summit is an annual event that brings together the country's top businesses and organizations that are focused on the baby boomer and beyond marketplace. It is where deals get done." One of the key topics will be: "New Service Economy: Housing, Caregiving, Mobility and Healthcare." Will you be attending this year? Those of you who attended last year, did you have an exciting take-aways or eurakas? Denise M. Brown (Twitter handle: @caregiving) writes a unique and engaging blog and has a lot to offer the conversation. 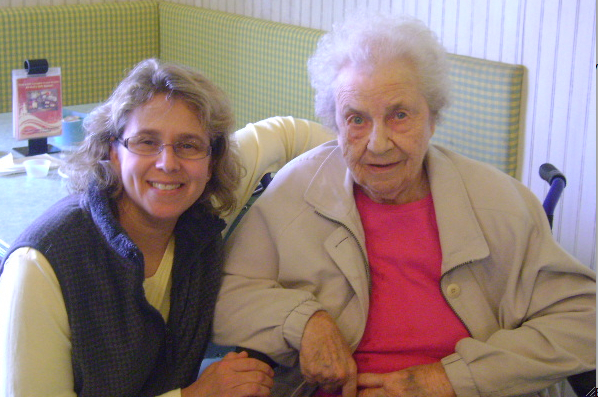 As she put's it: "I help family caregivers. Founder, Caregiving.com | Certified Caregiving Coach | Author | Speaker. Interests include social media, biking, sports and travel." Denise adds a personal touch to the issues and topics facing both our industry as a whole and those who we care for in it.